The goals of container hosting are much similar to those of Virtual Machines, in the sense that they operate by isolating applications and their dependencies into individualized self-contained units that can run anywhere, regardless of location. 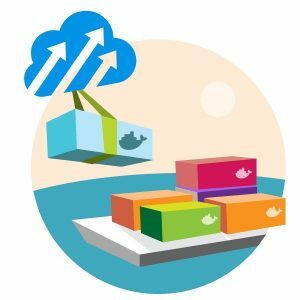 Let’s now delve deeper into container hosting and why you should subscribe to it. Container hosting provides users with operating system level virtualization unlike Virtual Machines and they do this by abstracting ‘user space.’ Otherwise, containers are much more like Virtual Machines, at least on paper. For instance, they both can execute commands as root file, allow custom routes, processing occurs in private spaces, they can mount file systems and so on. However, containers utilize the container hosting provider’s system’s kernel will all other containers unlike Virtual machines. Container hosting provides each container with an isolated user space thus allowing a number of containers to operate on one host machine. Additionally, all the architecture on the operating system level is shared across the containers in the host machine. With container hosting, the only components that are formed from scratch are the libs and bins making it very lightweight and flexible. Containers are superfast and lightweight especially due to the fact that they use up fewer resources. The greatest thing about containers is the fact that you can run a container in less than one second. This is a huge improvement compared to Virtual Machines that take way longer especially considering the fact that they have to load up their operating systems every time they start up. Container hosting has reduced the work load for all parties involved. We are talking about architects, developers, system administrators and all other IT experts and business and website owners alike. This has consequently revolutionized the data world and allows developers to build and test apps faster than ever before. Container hosting has allowed for the ‘build once and run everywhere’ mantra. Container hosting makes it easy to segment a user’s application’s functionality into separate containers. Additionally, the individualized containers can then be interlinked to create an application. This makes it possible to update components and even scale up independently as new needs present themselves. Container hosting allows users to have a greater number of containers on one host machine. This is attributed to the fact that there is only one operating system running. This is very effective compared to running a number of Virtual Machines on one host which can take years to load. This gives containers higher utilization levels of their hardware especially since you don’t need much. Container hosting has reduced overhead management sine the operating system that needs maintenance includes bug fixes, patches and security. After updating the operating system, all containers within the host are immediately updated in just a matter seconds. Encapsulating an app’s configurations makes the migration process very simple which allows for easy creation of applications starting from the development phase all the way to the delivery phase. This also makes multi-cloud deployment possible. Container hosting is the way to go for all businesses, big or small and even individuals running websites or blogs. The most important thing is to identify a container hosting provider who will provide with a service that is best suited to your business or website, factoring in future growth. Research on the best provider and make them your host.